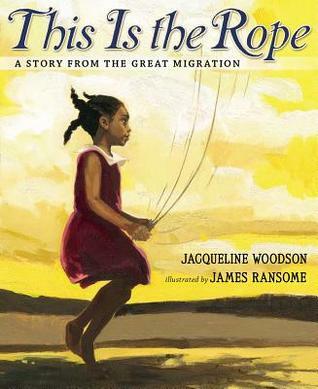 This Is the Rope: A Story from the Great Migration, written by Jacqueline Woodson and illustrated by James Ransome, is a nominee for the 2015-16 South Carolina Picture Book Award. This Is the Rope is a moving tale of one family’s journey from rural South Carolina to New York City during the Great Migration. The story begins with a girl finding a simple rope under a tree. This rope would play a part in the girl’s move north, serving as a luggage tie, a clothesline, a jump-rope, a reminder of times gone by, and a symbol of how far one family has come and the bonds that hold them together. For younger readers, I think This Is the Rope is useful for illustrating stories with one object tying events together. Pun intended. This book could serve as an example to follow when writing their own similar stories. I don’t know how much K5-2nd grade readers would understand about the Great Migration, but this book could also start discussions on why people move from place to place, the differences between living in rural and urban areas, or what life was like during the North and the South during different periods of time. For older students, This Is the Rope is a simple yet powerful introduction to the Great Migration, which is something that is often glossed over in some history classes. This book could start discussions on why many African Americans chose to move north during post-Reconstruction America, the conditions in the South that forced them to move, and how much work is still to be done to achieve racial equality, not only in the South but also across the nation. Join Abbey and Bee Force in their quest for the truth when you read The Girl from Felony Bay by J.E. 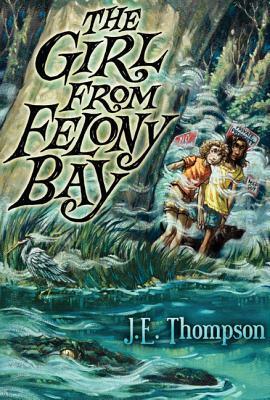 Thompson, a nominee for the 15-16 South Carolina Children’s Book Award. 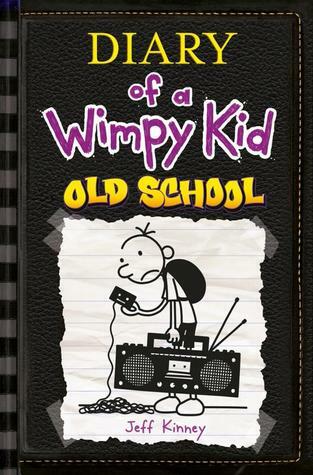 In Jeff Kinney’s latest installment in the Diary of a Wimpy Kid series, Greg Heffley is wondering if life was really better in the old days. He always hears his parents and his grandfather talking about the “good old days,” but he doesn’t see what’s so good about them. No decent electronics, little privacy…and no baby wipes. It all sounds pretty awful to Greg. Anna Nickel is a safety expert. She knows just what to do if disaster strikes near her home in Colorado. There’s one big problem, though. Her family is moving to Oakwood, Kansas for a while. (Her dad is a preacher, and he’s been asked to help out an ailing church in his hometown.) Anna doesn’t know a lot about Kansas–and she doesn’t really want to. She’s not happy about the move, and she hopes that she’ll be back in Colorado before her birthday. Well, Anna may not get her wish. Life in Kansas is much more complicated that Anna thought it would be. She’s encountering family members she’s never met. Her dad is totally wrapped up in the church, her mom is too busy to write, and, worst of all, Anna’s room is pink! Anna also seems to be instantly loathed by one of the kids nearby…who happens to be one of her distant cousins. Eventually, Anna finds a few things to like about her temporary home. She’s connecting with her dad’s family (something she’d never done before), and she’s learning about farming, emus, and how one should stay safe in all sorts of situations…including tornadoes. There are still many things she doesn’t like about Kansas–the time her dad spends at church, missing her family and friends in Colorado, going to a new school, or her pink room–but maybe it’s not all bad. When disaster hits Oakwood, Anna must put everything she knows about safety to work. She must come together with everyone in this new town to find something very valuable to her. In the process, Anna learns just what it means to be part of a community. She realizes that others will do whatever they can to help her…simply because it’s the right thing to do. 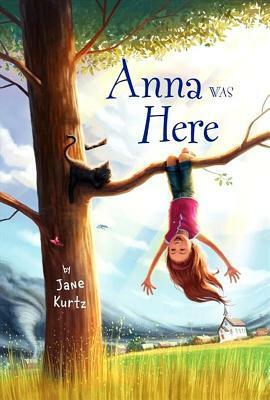 Join Anna as she discovers more about her family, her faith, and herself when you read Anna Was Here by Jane Kurtz, a 15-16 South Carolina Children’s Book Award nominee. This year, brothers Rafter and Benny Bailey will finally get the superpowers they’ve been waiting for. Will they be able to fly? Have super strength or speed? Shoot fire or water out of their hands? What powers will they get to aid in their family’s fight against the Johnsons, the evil family of supervillains? When the clock strikes 4:23, Rafter and Benny finally get their long-awaited powers…and they’re total duds. No, they couldn’t get useful powers like flight, strength, speed, or even super-smarts. Nothing useful like that. No, Rafter now has the astounding ability to light matches on polyester, and Benny can turn his belly button from an innie to an outie. It doesn’t look like these two boys will be much help when it comes to fighting crime. Rafter is shocked by how worthless his new power is. Why did he and Benny get such dumb powers? How can they possibly help the family fight evil with powers like these? Rafter becomes determined to find out just what is going on, and his quest leads him right to one person–Juanita Johnson. (Yes, of the evil supervillain Johnsons.) Did she get a worthless power, too? Or did this embarrassment somehow skip the Johnsons? As Rafter and Benny learn more from Juanita, they begin to realize that maybe the two families–who’ve been fighting for decades–aren’t all that different. Maybe they both see themselves as superheroes. And maybe there’s an even bigger problem that they need to work together to solve. 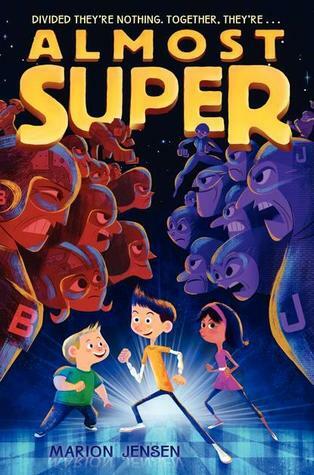 Join Rafter, Benny, and Juanita in Almost Super as they uncover a plot to manipulate both of their families and learn that one doesn’t need superpowers to do something truly heroic. Sometimes, being almost super is enough. Almost Super by Marion Jensen is a nominee for the 2015-16 South Carolina Children’s Book Award. Jory’s stepfather, Caleb, is always telling the family to look out for signs. Signs of what? Jory’s not entirely certain, but Caleb seems to be sure enough for everyone. These mysterious signs could be things like an odd newspaper article, a meteor shower, some dead birds, or even the simplest, seemingly innocent thing. Jory’s not sure what makes something a “sign,” but he trusts Caleb to keep the family safe from danger. Jory must also do his part to keep his family safe. He must follow all of Caleb’s instructions. He can’t draw too much attention to himself or the family, he always wears heavy work boots, and he can never tell anyone about his sister Kit. And he must make sure to “watch the sky” for signs. Before long, Caleb becomes convinced that all of his “signs” are pointing to a cataclysmic event, one that the family will need to prepare for. What do those preparations entail? Stockpiling supplies, getting used to eating MREs (Meals Ready to Eat), canning food…and digging. Almost every night, the entire family digs in the canyon beyond their house. Jory’s not sure exactly why or what they’re digging, but this mission soon becomes clear. They are creating a bunker to survive whatever danger Caleb feels is on the way. While all of this is going on, Jory also has to go to school. He has to worry about keeping his grades up, staying out of trouble, and making friends with a couple of people who won’t let him blend into the background. It’s hard to balance his schoolwork and friendships with everything happening at home, and Jory is starting to wonder why he should have so much to worry about. Why is Caleb so convinced that danger is coming? If things are really so bad, why aren’t they warning others? Caleb always taught Jory to question everything he was told, but what will happen when Jory begins to question Caleb? Is he prepared to live a life without fear if it means losing his own family? Or will Jory follow Caleb into an uncertain future away from the world around him? Answer these questions and many more when you read Watch the Sky by Kirsten Hubbard. 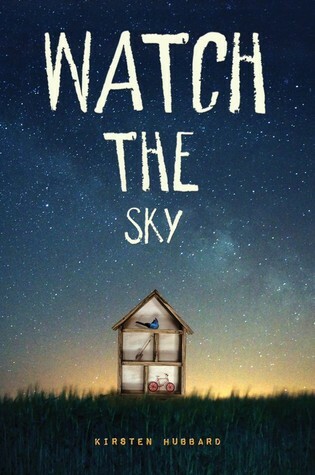 I think Watch the Sky will spark some intriguing conversations with my students. I haven’t read anything like this book before, so it definitely fills a hole (that I didn’t know was there) in my library collection. I would recommend this book for libraries that serve elementary and middle grade readers. Wen has spent the past several years in a Chinese orphanage, but her life is about to undergo a drastic change. She has been adopted by an American family, and she’s leaving her best friend in the world, Shu Ling, behind. Wen promises that she’ll do whatever it takes to find a home for Shu Ling, but that may not be so easy when Wen is trying to adjust to a new family and an unfamiliar country and language. Wen’s new life in Boston is much more difficult than she could have imagined. She misses her best friend desperately, and she remains distant from her new mom and her little sister, Emily. It’s also hard to make friends at school when she’s so different–and when she can’t understand many of the words spoken around her. Eventually, though, Wen does make a very good friend…but how can Wen be totally happy with her new life when she knows that Shu Ling is counting on her to find a forever family? Young Wen becomes determined to help her best friend, but time is running out. In a matter of weeks, Shu Ling will no longer be eligible for adoption. What can one eleven-year-old girl do to make sure her friend, a disabled thirteen-year-old in a Chinese orphanage, is adopted by an American family? Well, Wen will discover that she’s capable of quite a bit, but will her efforts be enough? Will she find a home for Shu Ling in time? Will these “red thread sisters” ever see each other again? If not, can Wen ever be truly happy with her new life in America? 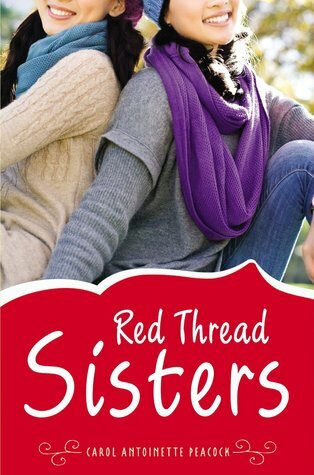 Read Red Thread Sisters by Carol Antoinette Peacock to see just what one young girl will do to ensure the happiness of her best friend…and herself.